LE ROUGE - L'Amerique Septentrionale. LE ROUGE, G.L. - L'Amerique Septentrionale. L'Amerique Septentrionale. - LE ROUGE, G.L. Size : 10.7 x 8.1 inches. / 27.3 x 20.6 cm. Colouring : Original outline colouring. Description :Interesting map of North America. 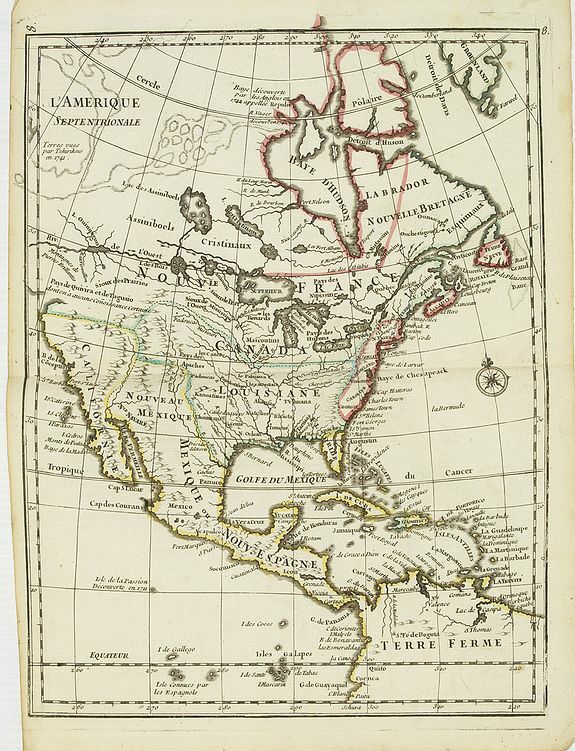 In north eastern part of North America some interesting lakes and rivers are drawn, with a note: Terres vues par Tchirikow en 1741 . Tchirikow was a Russian explorer visiting the Bering Strait.